The Royal Comedy Tour is Coming to Tampa Bay! Hi Tampa Bay, Alex here to tell you about a comedy tour coming to the David A. Straz Center for the Performing Arts this February! The Royal Comedy Tour featuring Sommore, Mark Curry, Tony Rock and Bruce Bruce is taking place on Sunday, Feb. 19, 2012, at 7 p.m. The comedy tour will be held in Ferguson Hall at the Straz Center. If it’s uncensored, unapologetic, hard hitting and hilarious, you will hear it on The Royal Comedy Tour. Lines will be crossed and nothing will be off limits on the tour as Sommore and members of her royal court, Mark Curry, Tony Rock and Bruce Bruce, light up the stage with their high-spirited humor and rousing routines. If it makes news, they will mock it, if it’s going down in the bedroom, they will bring it up, if it hits headlines, they will hammer it and if it fires people up, they will make fun of it. This is going to be a funny show! Tickets are on sale today! 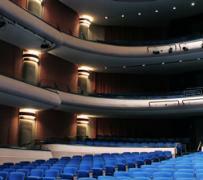 Regularly priced tickets start at $46 and may be purchased by calling 813.229.STAR (7827) or 800.955.1045 outside Tampa Bay, in person at the Straz Center Ticket Office or online at www.strazcenter.org.